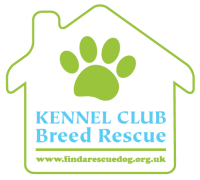 Click GREEN pins on Find a Charity map for name of animal charity and link to their website. Click BLUE pins on Find A Charity map for name of animal charity shop and link to their website. Find A Charity map features multi-species pet rescues, cat rescues and dog rescues including AniLog® clients, Members or Associate Members of the Association of Dogs and Cats Homes, registered with the Charity Commission, Kennel Club Breed Rescue and charities registered with the Office of the Scottish Charity Regulator. Home | Find a Pet | Find a Charity/Shop | Find a Vet | Charity Videos | Happy Endings! | A Microchip "Tail"